Is Mitsubishi Coming Up with a Hotter Version of the Strada? Mitsubishi is wasting no time bringing out a sportier version of their recently-launched Strada / TRITON / L200 pickup truck. Headlining their display at the 40th Bangkok International Motor Show at the end of March is what the Japanese carmaker says is, “a car ABSOLUTELY Beyond Tough.” [All caps emphasis is Mitsubishi’s, not ours). With spruced-up versions of pickup trucks proving successful in the region (the Toyota Hilux Conquest, Ford Ranger Raptor, and the Navara N-Warrior to name three examples), it’s no surprise that Mitsubishi wants a piece of that pie was well. 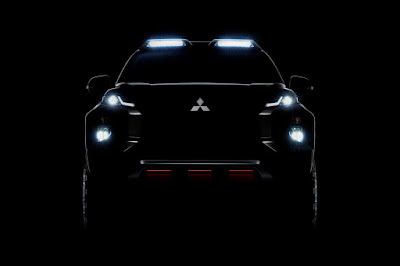 Everyone sure is hoping for something along the lines of the Ranger Raptor, but based on the teaser photo, Mitsubishi is going to do something closer to the Navara N-Warrior and Hilux Conquest—which is basically a heavily accessorized version of the production Strada. 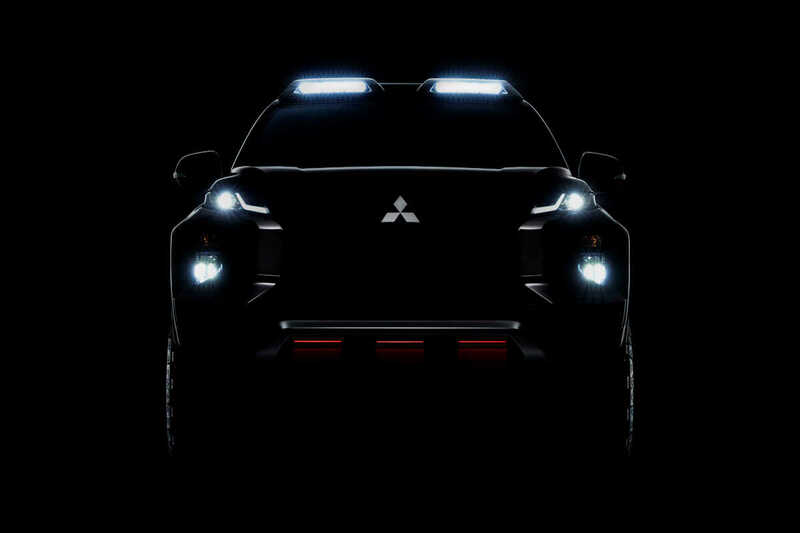 This may sound like a downer, but we’re seriously hoping it’ll be a Strada Ralliart—and again, based on the teaser, this is a strong possibility given the red highlights on the bumper overrider. Oh, and it looks to have beefier wheels and a raised ride height as well. Best of all, they’ve opted to integrated roof lights too, something we’ve seen in the Engelberg Touring Concept. So while this sporty variant of the Strada / TRITON / L200 may not jump over sand dunes any time soon, at least there’s a strong possibility of this making it to actual production. Cross your fingers and hope we’ll like what we see come the Bangkok Motor Show.